Nowadays that a cellphone cannot be just a cellphone anymore, it’s not unexpected that a wristwatch cannot be just a wristwatch anymore either. Introducing the Garmin Forerunner 610 — with a touch to the screen you can track your athletic performance, distance run, heart rate, fastest speed, etc — all due to its GPS functionality. Of course you can access the touchscreen safe from your pouring sweat, as it’s completely waterproof, and its vibration alerts work without you needing to stare at the screen the entire run. 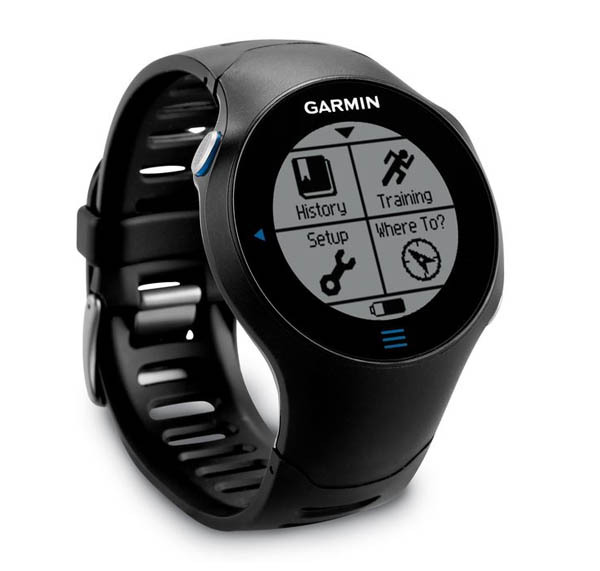 The Garmin’s Forerunner 610 can also hook up to your computer if you want to analyze your performance in front of your laptop instead of on top of the black top. Slap one on for $350.